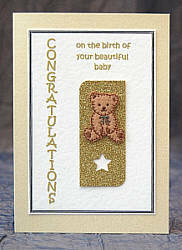 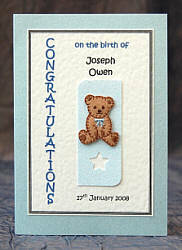 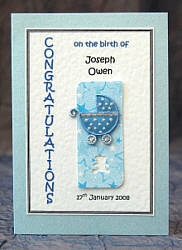 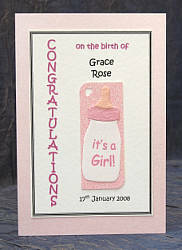 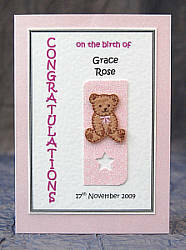 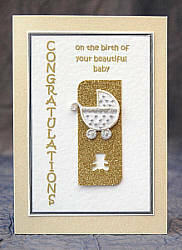 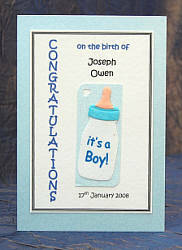 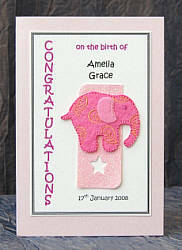 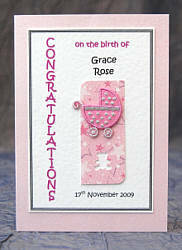 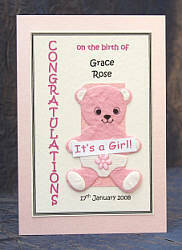 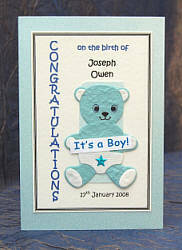 A beautiful range of Handmade Personalised New Baby, Boys & Girls Cards. 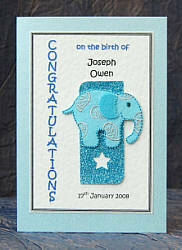 Cards are 15cm x 10.5cm with a pearlised finish, on which is mounted the personalised ivory hammered card, this is decorated with a coloured glitter card and the design of your choice. 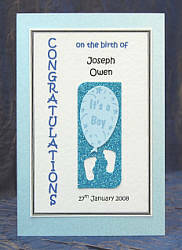 Each card is supplied with a high quality laid paper envelope.